“We’re very proud of our aerospace industry here,” said one typically sallow-skinned guest to me. His pals were nodding in agreement. Toulouse is France’s fastest-growing city and with 1.2 million inhabitants, it has overtaken Bordeaux as the fourth biggest in the country. It has Southern French charm in bucketloads. The people here have an easy and relaxed air about them and the town that is nicknamed “La Ville Rose” because of so much warm red stone in its architecture. It has a vibrant air of positivity about the place and a very young population. The aerospace industry has a lot to do with this growth and vibrancy. It was the advent of the Second World War that caused the aeronautical factories to move house, away from the traditional areas farther east that were under threat of being overrun by invaders. Toulouse is home to a number of important aerospace-related companies, such as Airbus Industrie and the European Space Agency. It’s a typical fact of our times, but most Irish people will be far more familiar with all that goes on in the American space programmes that what goes on in the European Space Agency in which we in Ireland have always played an active part. Did you know, for example, that there are about three launches of an Ariane rocket every two months? Did you know that we – the Europeans – can launch satellites at a far less cost to companies than the Americans? We don’t see televised launches from French Guiana any more but that’s because the launches have become so routine – with each one carrying the flags of the participating European nations, including that of Ireland. 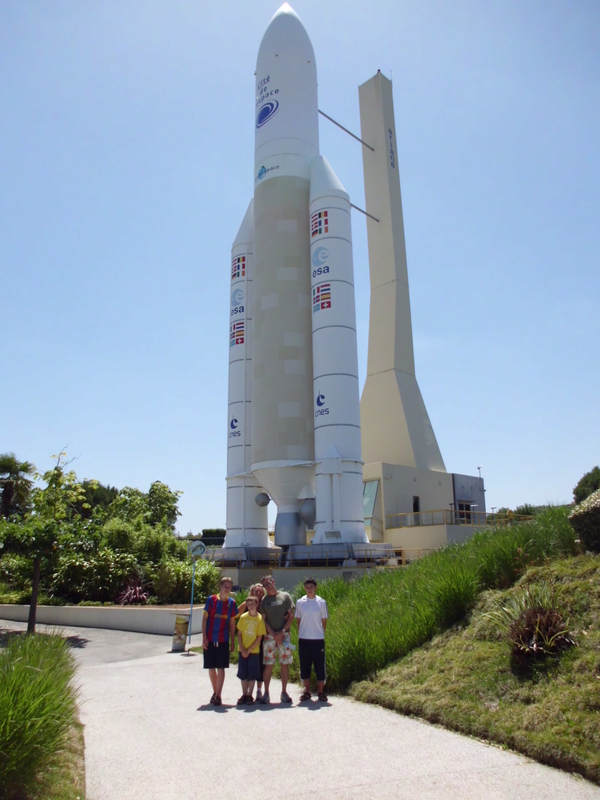 The rocket that you see from the motorway isn’t a real one, of course, and it’s not a space shuttle. It’s an Ariane 5 rocket and it’s an empty model designed to show you what one of the modern Ariane rockets looks like. 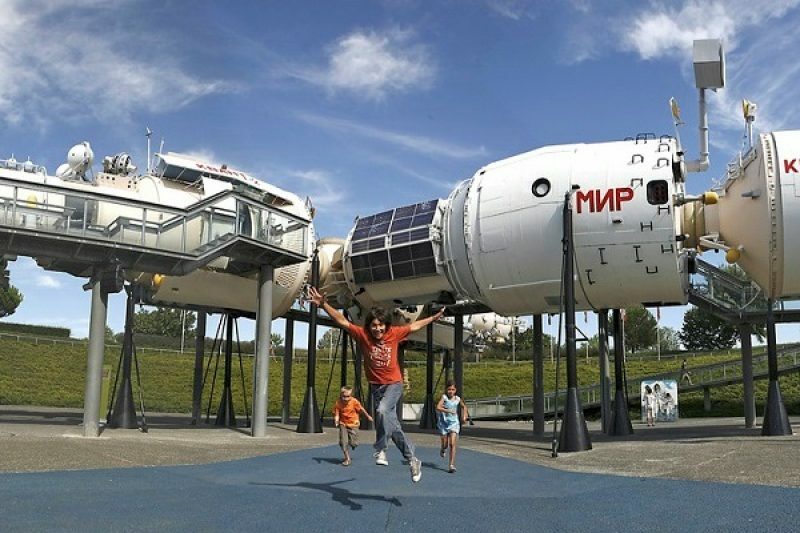 It forms a dramatic centrepiece in the Cité de l’Espace (City of Space) on the outskirts of Toulouse. Inside, the tour of the centre involves a large indoor exhibition area. This tells you all about the evolution of the Ariane rockets – from the first one that blasted off from the French overseas department of French Guiana in 1988 to the latest smaller, sleeker models that are leading the way in space-age technology. You learn about the frightening speeds involved and how the satellite payloads is dropped off in the right location. There are lots of souvenirs of space flight both from an American and a Soviet perspective. Unlike their American counterparts, the European Space Agency has always had a civil partnership with the Soviet Union and there are many artefacts on display from that period. There are also plenty of interactive displays in the indoor part, including the chance to see what it’s like to do a televised weather forecast or to get an idea of what it’s like to walk on the moon. Outside, it gets even more interesting. You can climb into and walk through a Soviet Mir space station. This isn’t a recreated copy but is the real thing: When space stations were built, they always built two of them exactly the same, so that they could have complete control over and understanding of each part of the complex piece of engineering in order to stay on top of any problems. It’s a great experience to go through the space station and get a clear idea of what life on board such a thing is like, even down to the food that the spacemen ate. The latter included some fine local cuisine from the Toulouse area. 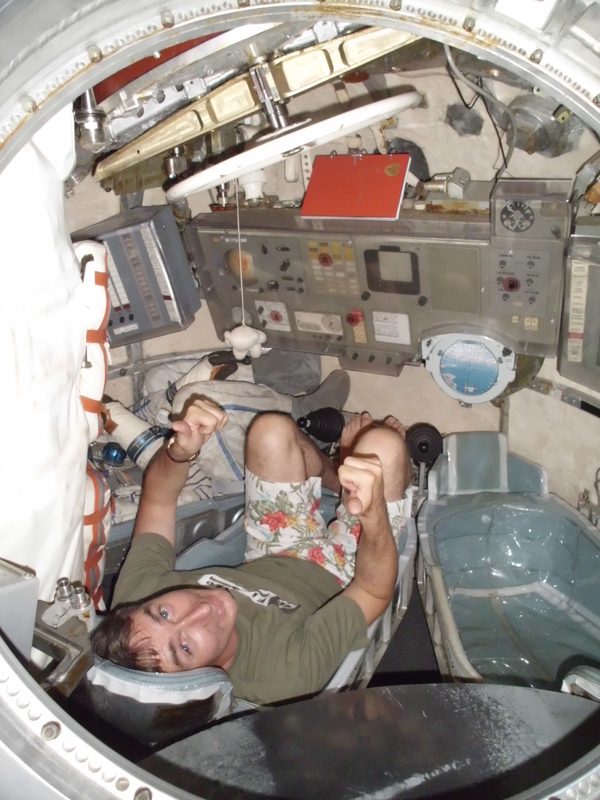 The chance is also there to climb into a landing module of a Soyuz rocket. This is a recreation but it’s faithful to the real thing in every way. When you climb in and feel how cramped it is for one person, you can only imagine how incredibly claustrophobic it must have been for the full crew of three in there, waiting and hoping for a safe return to earth. There’s more indoor entertainment by way of the IMAX cinema on site and the planetarium. They’re all well worth a visit to complete an impressive space-centred experience. Florida it isn’t, but it is nevertheless a highly entertaining and educational visit to get familiar with a world of space that both Ireland and France have a hand in. And if you are making a day’s visit of it, factor in the cost of eating out because, although I can’t speak for the other two restaurants here, the Astronaut Café just about the best you’ll get in any visitor centre in the world – French quality lunch at a reasonable cost. We stayed at the Hotel Mercure, 7 Rue Labeda. Tel. 0033 534 45 40 60, www.accorhotels.com. Just around the corner from the beautiful Place Wilson, it’s an ideal base; close to all facilities, including the famous Victor Hugo Market.